Join me for a FREE Pebeo Paints demonstration! Join me for a FREE continuous Pebeo Paints demonstration! One COLORFUL Show of New Original Artworks! 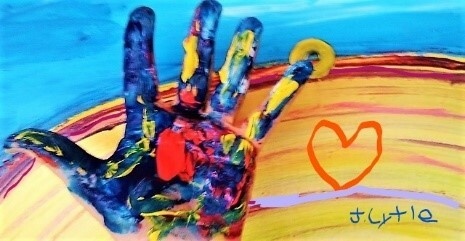 Including J Lytle ~ The LOVE Artist! Featuring COLORFUL New Artwork from Tristina Dietz Elmes and J Lytle. Note: This show runs through June 15. Contact us for your private showing, or click to view the SHOW CATALOG. Enjoy my solo SEA SONG collection show of Ocean Inspired artworks on display through the month of May at the Broward County South Regional Library at Broward College. 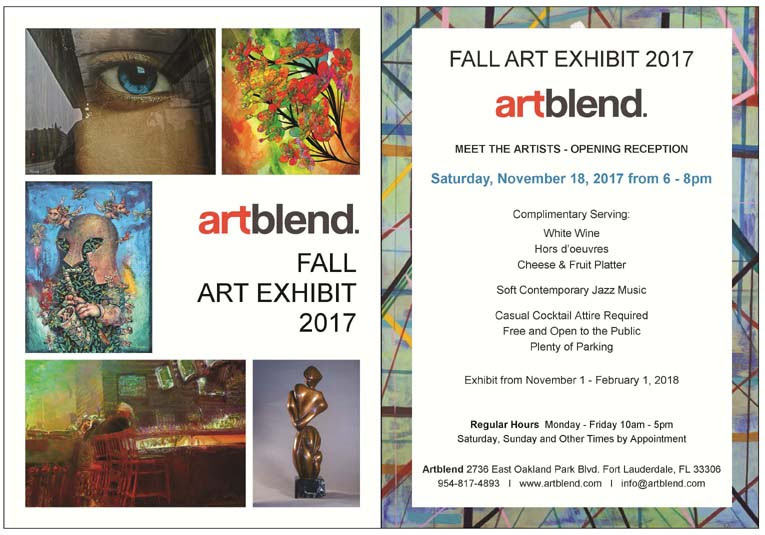 I was invited to present this show in association with the Broward Art Guild's 'Art Around Town' program. Regal - Tristina Dietz Elmes, mixed media on paper, 18" x 24", framed in white. If you would like FREE VIP access to the Spectrum tent, here is the link to order tickets: https://artblend-smia17.eventbrite.com. Simply go directly to the REGISTER button and follow the instructions on Eventbrite to complete your order. This is gonna' be SO MUCH FUN! Tune in to Jerry's Artarama's FACEBOOK page on Tuesday, August 29th at 5:30 pm for my hour long project demonstration with Pebeo's exciting Mixed Media paints! On Saturday, August 19, 2017, I will be presenting a demonstration of Mixed Media by Pebeo paints, mediums and resins at the Grand opening of the new location of Blick Art Supply in Schaumburg, Illinois. I am honored to have been invited by Studio 18 Gallery Curator Michael Edelberg to be one of 12 artists selected for this fall's OUT OF MANY ONE group exhibition, sponsored by the city of Pembroke Pines, Florida. Enjoying the Opening Reception with my mother in front of 'Moon Over Miami', 5ft x 8ft. I have a total of 6 artworks on view and available for purchase at the show. Please contact me if you would like a personal tour of my artwork at Studio 18 during normal business hours Tuesdays through Saturdays. Several more of my Asian Fusion collection artworks at Studio 18 available for purchase. On Saturday, June 10, 2017, I will be presenting a demonstration of Mixed Media by Pebeo paints, mediums and resins at the Broward Art Guild in Fort Lauderdale, Florida. Sneak Peek of my newest artworks at TRAX Art Studios. Join me at TRAX Art Studios for my latest Art Gallery exhibit and see some of my new resin and mixed media paintings at the MIXED MEDIA EXTRAVAGANZA art show opening reception on Friday, May 26th, and closing reception on Friday, June 23rd, from 6-9 pm. This art exhibit will run from May 26th through June, 2017. This show features the artwork of the 3 teachers (including me!) who will be the instructors for the 3-Days/3-Teachers 'Mixed Media Art Extravaganza' workshop at TRAX Art Studios June 15th to 17th, 2017 - Heather Neiman, Tristina Dietz Elmes and Tatiana Cast - with many pieces available for purchase to beautify your home or office. FOR ARTISTS:I am excited to be offering several Pebeo paints mixed media and paint marker classes at Framing & Art + Craft Supplies (FACS) in Crossville, Tennessee, on May 1 & 2, 2017. Click on the picture to go to the FACS website classes page and read about what's happening, then sign up for the classes. You'll be glad ya did! FOR ARTISTS: I am excited to be travelling to the Jerry's Artarama store in Knoxville to give a hands-on Pebeo Mixed Media Adventure Painting workshop! Students in this class will be creating their own unique artwork on canvas and paper using Pebeo's shimmery and lusciously textured acrylic paints & mediums, Vitrail & Fantasy liquid oil paints, and Pebeo's new 4Artist oil paint markers. Can't wait... I have so much to share! Find out more on the Jerry's Knoxville website by clicking HERE. I am happy to invite you to come see 2 of my painting collections (Asian Inspired and Abstract Pastel) hanging in the TRAX Art Studios gallery in Fort Lauderdale. This exhibit, including 5 South Florida Artists, is available to view from Feb 28 - Mar 10, 2017. See the details for two planned Receptions below, and feel free to contact me for a private showing at your convenience. A catalog and price list is available at your request. Join us at TRAX Art Studios to Meet the Artists of the ART PASSION show, pick out your favorite painting - maybe the one you want is a February Special!? - and grab the show catalog. Can't make it to the show...just click to view the ONLINE CATALOG. 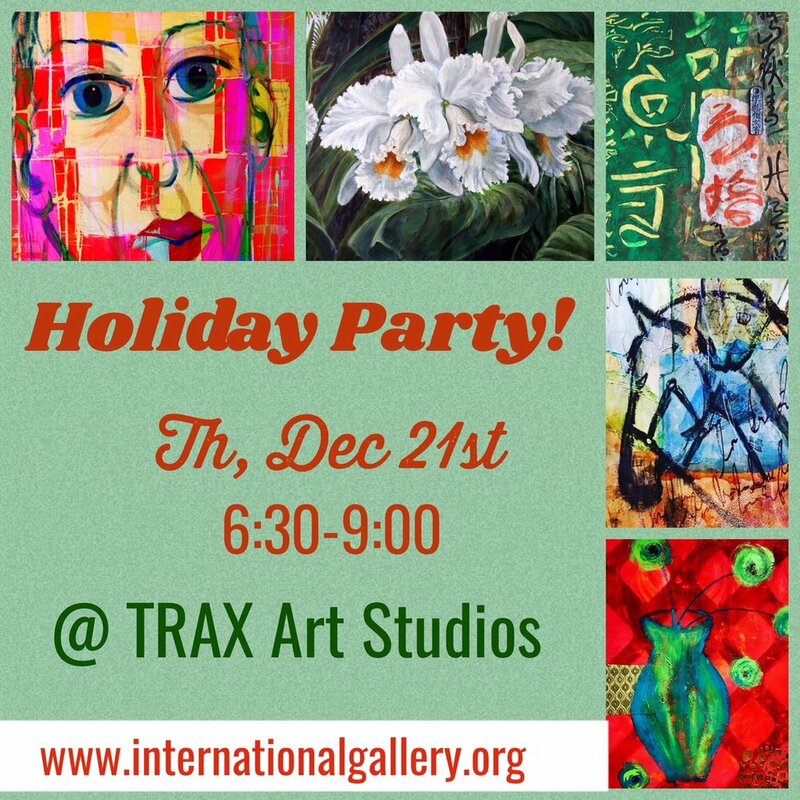 Bring your shopping list and come check out my UNIQUE original painting and jewelry items available for Holiday gift buying during 3 of my Studio Open Houses at TRAX Art Studios in Oakland Park, Florida. My "In My Head" artwork collection will be on view for the Fort Lauderdale Artblend Gallery Fall Art Exhibit. I will be out of town at another Art Show, however, the Gallery staff are super friendly and very professional. Tell them I sent you and ask to see my artwork, which they will be happy to show you! Several paintings representing my Asian and Abstract collections will be on display in the Vanderbilt Mansion at the Fisher Island Club for the Yacht Rendezvous charity event benefiting the Boys and Girls Clubs of Broward County on the weekend of Nov 10 - 12. The event theme is Alice in Wonderland with a yacht hop, costume party and Queen of Hearts Ball. My large painting SUN-BURST will be auctioned off at the Ball to benefit the Boys and Girls Clubs of Broward County. I am honored to be a part of this great charity event! Back by popular demand and sponsored by InternationalGallery.org, visit the Pelican Grand Beach Resort in Fort Lauderdale, Florida, for the beautiful sand, sun & ocean, plus enjoy my new collection of SEA SONG series paintings on exhibit and for sale in the lobby Petite Gallery. Visit Matty's Sports Bar in Wilton Manors, Florida, from Sept 18 through Nov 1, 2016 to enjoy my latest Sea Song painting collection on view and available for purchase. See details about my Meet the Artist event below. Thursday, October 20th, 2016 | 6:30 - 8 p.m.